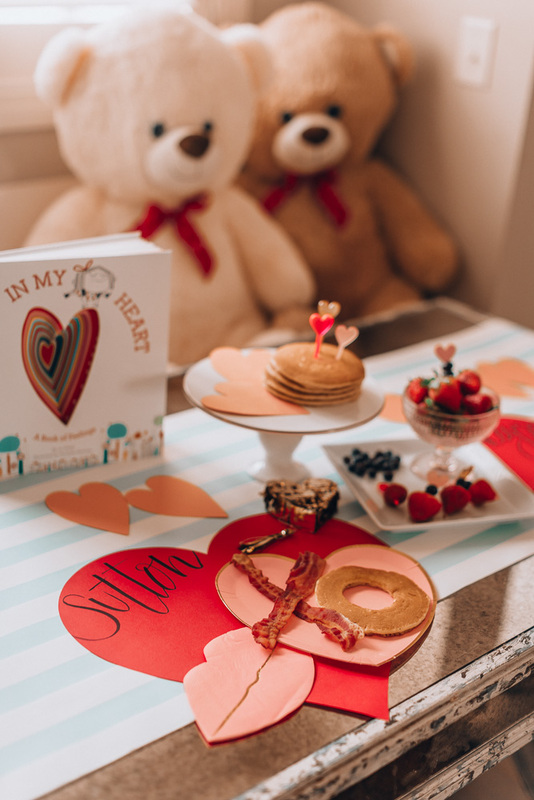 Valentine’s Day comes at the perfect time. It’s freezing cold in Kansas right now and everyone is feeling over Winter. But, Valentine’s Day really brightens everything up! Plus, we know that Spring is right around the corner! Sutton & Greyson are at such fun stages (4.5 & almost 2) where the slightest change in our daily routine makes them so excited. 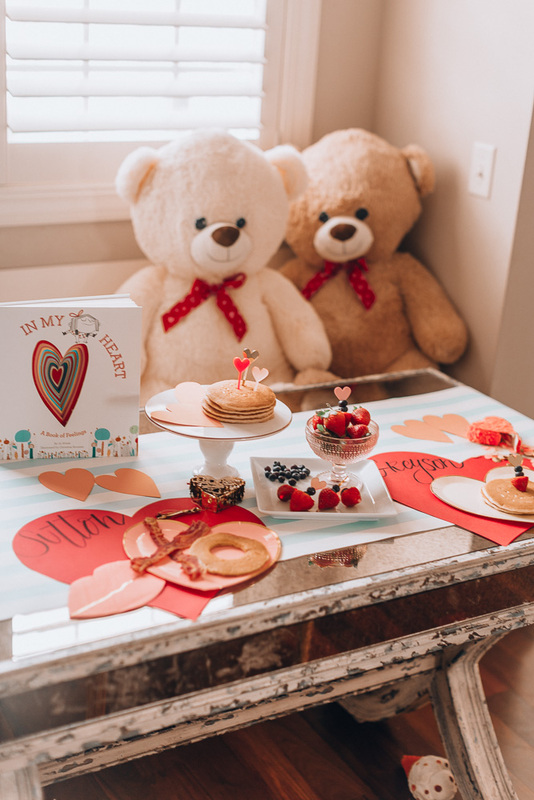 So, for Valentine’s Day, I have a fun breakfast planned. 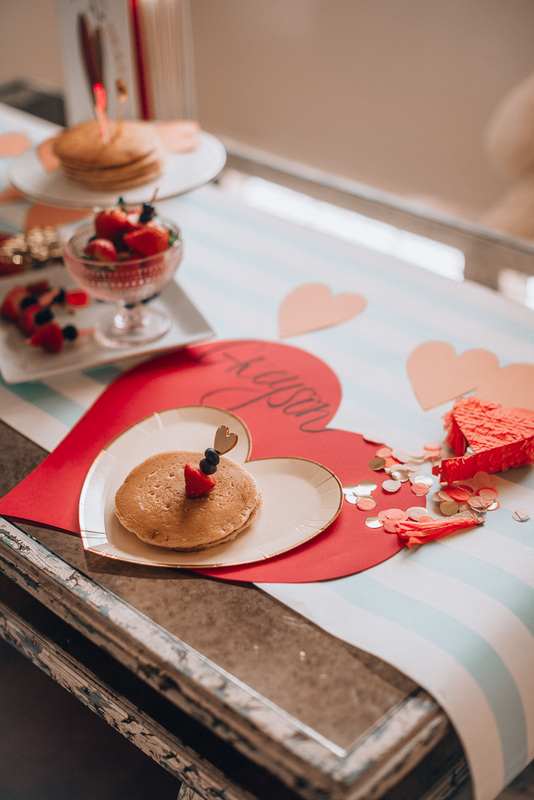 I know when they come downstairs for breakfast & see the table set up, their faces will light up with joy! And isn’t that was Valentine’s Day is all about? 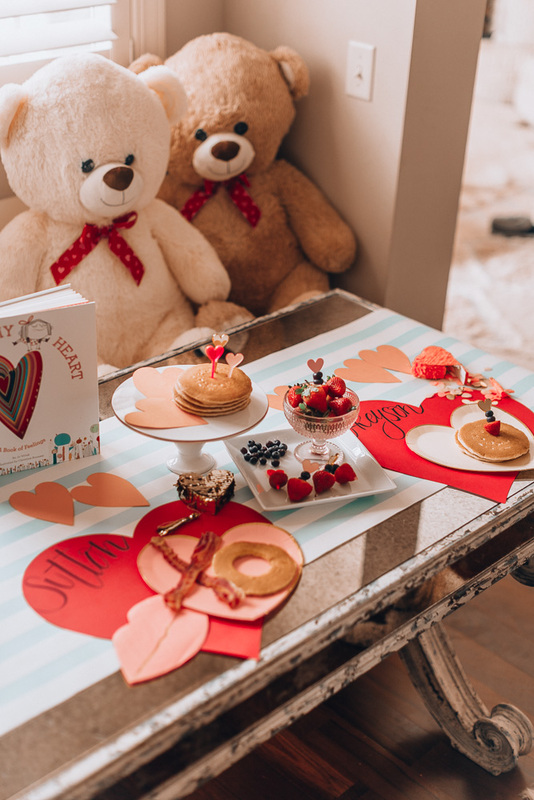 Doing a little something special for those you love, and in return we all feel the love. 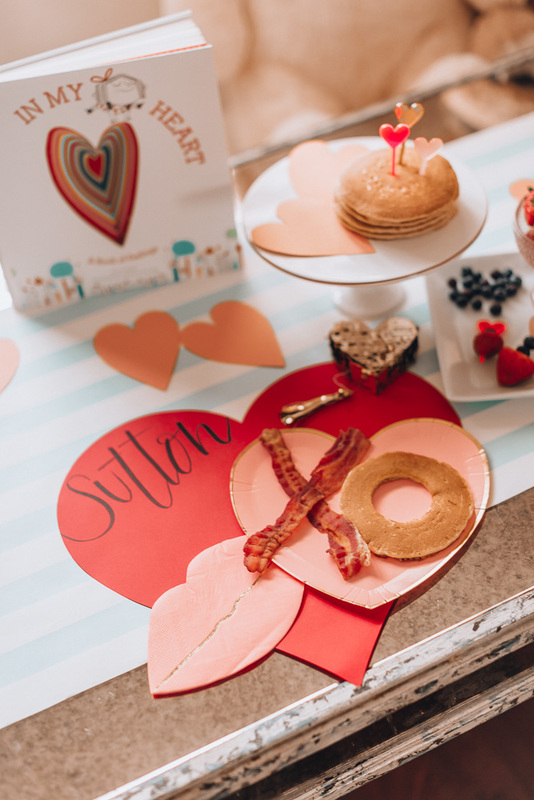 A standard breakfast of pancakes, bacon & fruit can (easily) become so much more on Valentine’s Day — bacon X’s and pancake O’s and fruit on heart skewers. I got all my paper goods & party supplies at Pink Antlers. The smaller heart shaped paper are actually note cards and I’ll write a little love note on there for them. The heart boxes are mini pinatas; you pull down on the tassels and there is confetti & temporary tattoos inside. I’m sure they will be heading to daycare on the 14th with fresh ink! 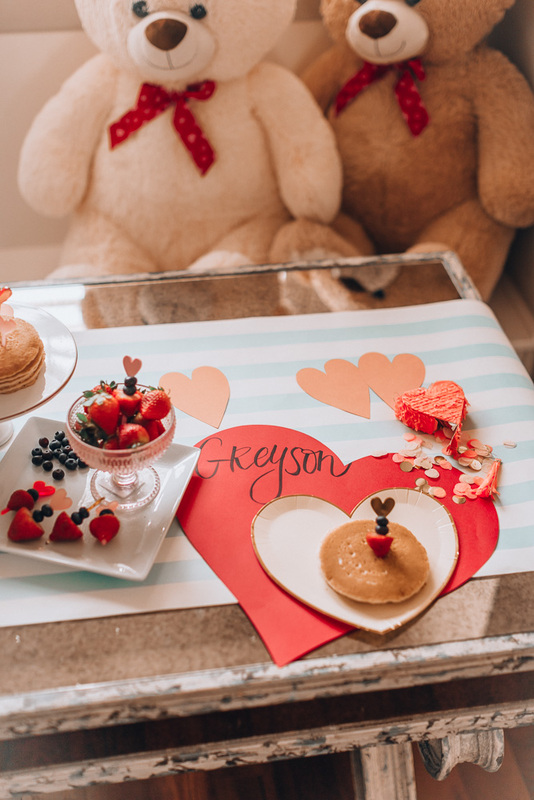 It’s really a simple set up, but I know it will make a big impact on Sutton & Greyson and I can’t wait to celebrate Valentine’s Day with my little family! Still looking for a few Valentine gifts? Check out this blog post!